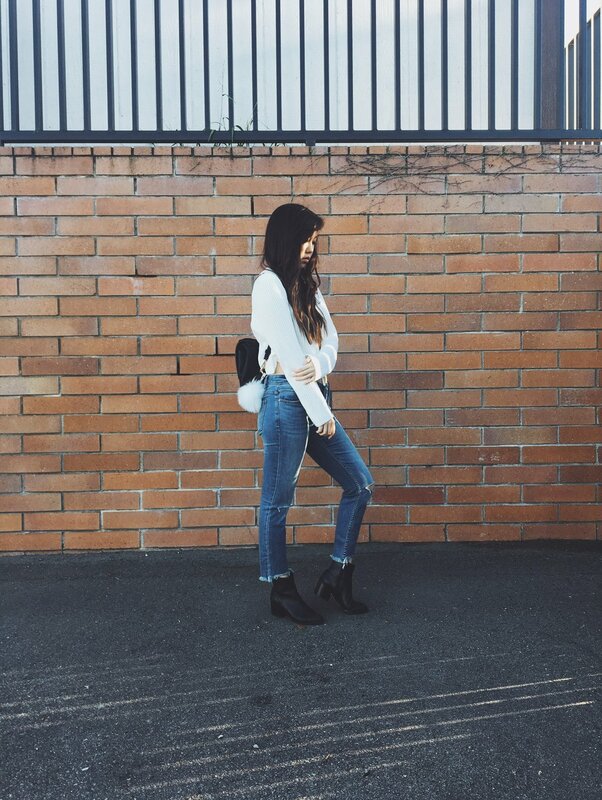 I love this trend because it adds an extra edginess and flare to my normal skinny jean look. I'm not a huge fan of how boyfriend jeans look on me, so wearing skinny jeans all the time gets a little dull. It's also perfect for people like me who don't have super long legs, because these tend to be a little more cropped in order to show off the ankle and shoe more. 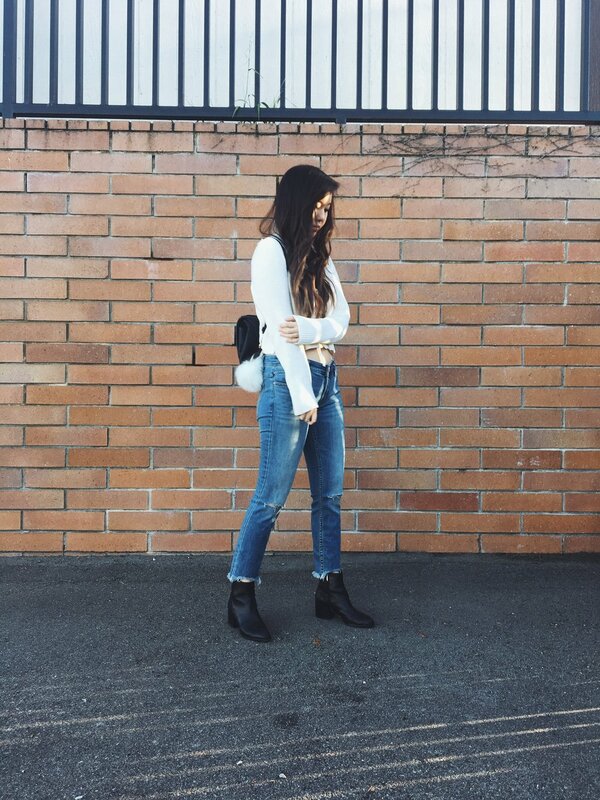 I paired the jeans with a simple cropped white sweater and my trusty black booties for an everyday, easy to wear outfit. You can buy these jeans pre ripped from Free People like I did, or you can DIY a pair yourself here. I'm pretty clumsy so I'm not a big DIY person but I think I'm definitely going to try to grab an old pair of jeans, and make some on my own!